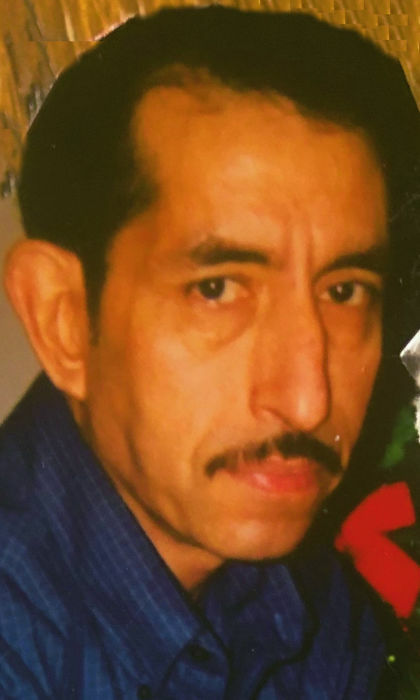 Carlos Hernandez, age 65, of Fairmont City, IL, born on November 4, 1953 in Villanueva Zacatecas, died on Tuesday, January 22, 2019 at Barnes-Jewish Hospital, St. Louis, MO. Carlos was a supervisor at RBF Warehouse in St. Louis, MO. He was preceded in death by his parents, Pantaleon Hernandez and Nicolasa Lopez; and his three siblings, Bertha Hernandez, Julia Hernandez and Manuel Hernandez. Memorials may be made to the Kidney Foundation. Visitation will be held on Saturday, January 26, 2019 from 9:00 a.m. to 11:00 a.m. at Holy Rosary Catholic Church, Fairmont City, IL. A Mass of Christian Burial will be held on Saturday, January 26, 2019 at 11:00 a.m. at Holy Rosary Catholic Church, Fairmont City, IL with Msgr. David Wilke officiating. Interment will be held in Mt. Carmel Cemetery, Belleville, IL.